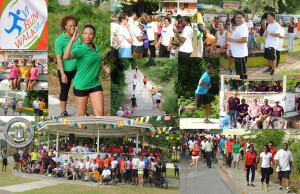 Road Town came alive Friday September 12 as hundreds of people took a stance for health and wellness by participating in the Caribbean Wellness Day Workforce Fun Run/Walk. Individuals from the private and public sector walked approximately 2.5 miles dressed in unity representing their respective agencies. Some walked for health, fitness, fun and camaraderie, while others used the opportunity as a catapult into a more regular exercise regimen. “It’s all about you getting into shape, being healthy and living a long life.” Chairman, Physical Activity Subcommittee, BVI Health and Wellness Council, Mr. Paul Hewlett advocated. The Chairman also encouraged persons to take part in the VI Run/walk programme through its 10,000 step per day initiative or workplace/community walking clubs. The recently launched programme by the Ministry of Health and Social Development and the Department of Youth Affairs and Sports, encourages persons to become more physically active by walking 10,000 steps a day using a pedometer or doing 30 minute walks for five days. 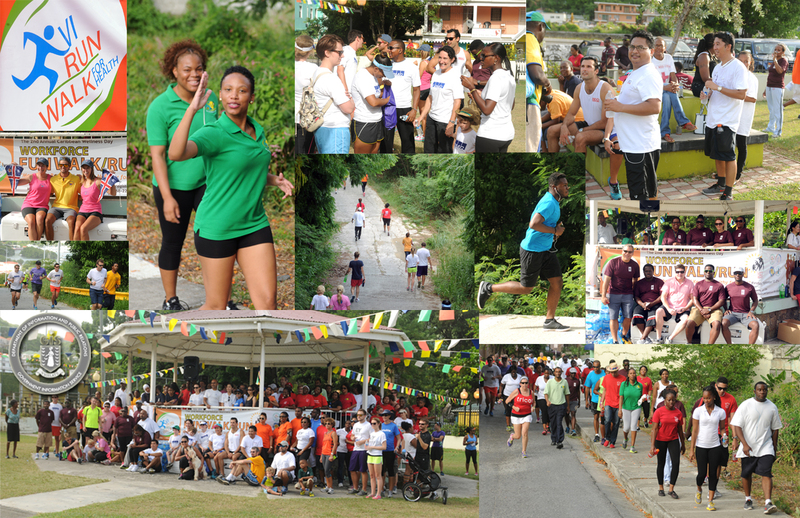 The Caribbean Wellness Day Workplace fun run walk is another initiate carried out by the Health and Wellness Council as Government strives towards a healthier Virgin Islands.